Personal insolvencies fall to pre-recession levels but who is still vulnerable? New figures published by Experian, illustrating where and for whom UK personal insolvencies are most prevalent, reveal the number of people being declared insolvent has fallen to pre-recession levels, with some towns showing markedly improved rates compared to the same period last year. Despite these findings, the figures also highlight the vulnerability facing young families. 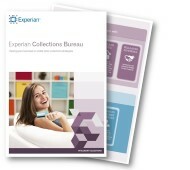 Read our guide on fairer collections to help rehabilitate your customers who are in debt. Experian’s analysis of personal insolvencies using its Mosaic people classification system has revealed that families on low to middle incomes in the Family Basics group saw worryingly high levels of personal insolvency with 20 in every 10,000 households becoming insolvent in Q3 2014. However, this is an improvement on their Q3 2013 rate of 22 in every 10,000 households. There were generally positive signs amongst other Mosaic groups. The Rural Reality group – people living in inexpensive homes in rural village communities – saw the biggest improvement year on year from 11 in every 10,000 households becoming insolvent, decreasing to 8 in every 10,000 households in Q3 2014. The Suburban Stability group, which typically consists of mature couples or families living in mid-range housing, also saw improved rates falling from 8 in every 10,000 households in Q3 2013, to 6 in every 10,000 households in Q3 2014. It’s encouraging to see insolvency rates falling back to pre-recession levels and there have been some real pockets of success in the last year, which is proven in the year to date comparison. The insolvency rates either improved or remained the same amongst all Mosaic groups, so we appear to be heading in the right direction. However, there insolvencies amongst young families are still relatively high, suggesting they are struggling to make small budgets work. This highlights how important it is for credit providers to be able to really understand the personal circumstances of those who may be struggling to make ends meets, so that they can help to protect them from falling further into debt. Geographic analysis reveals that of the top 50 UK towns with the highest rates of personal insolvency, 34 are located in the north of England, while only seven towns are in the south – Torquay, Penzance, Newport (Isle of Wight), Dorchester, Sittingbourne, Aldershot and Bath. While many areas of the UK have shown an improvement in insolvency rates, the seaside town of Scarborough is still suffering from the highest levels of personal insolvency in the UK with 19 out of every 10,000 households being declared insolvent in Q3 2014, although this is a slight improvement on the corresponding quarter in 2013 when 20 in every 10,000 households were declared insolvent. Despite some pockets of the UK showing deterioration, many more towns showed a marked improvement from the insolvency rates of Q3 2013. Bromsgrove in Worcestershire showed by far the biggest recovery over the last 12 months with rates decreasing from 14 in every 10,000 households in Q3 2013 to three in every 10,000 households in Q3 2014.